Like most successful businesses, Good Elephant was born from a need within a community. 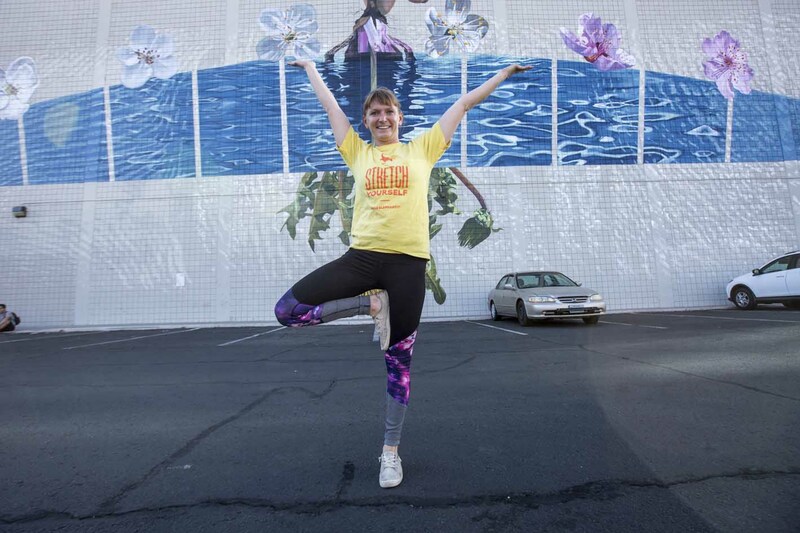 Yoga teacher Allison Reitz noticed not just one need, but two. Allison saw a need for flexible, cost-effective yoga classes in her community, where everyone would feel comfortable and welcome. She also knew firsthand that yoga teachers were often uncomfortable with self-promotion, and therefore struggled to make a living. So, Allison started Good Elephant, a community-based yoga business. 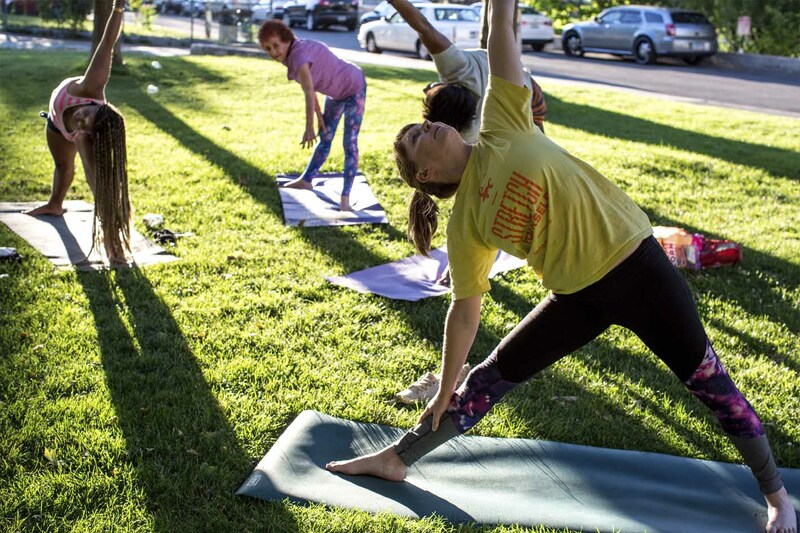 Good Elephant connects students with accessible, pay-what-you-can yoga classes, and gives yoga teachers an easier path toward building growing, financially-sustainable practices within their communities. Allison, leading a Good Elephant yoga class. Allison had no plans to start her own business—much less create a new, innovative model for community yoga. She saw that many people felt alienated by fancy yoga studios with unaffordable price points—but they were still deeply interested in the idea of starting a yoga practice. “When I started teaching yoga at a studio, I realized how many people are interested in yoga but were kind of intimidated to come into the studio, and also couldn&apos;t really afford to go there,” says Allison. Allison Reitz, founder of Good Elephant. Good Elephant started small, with one class in Carson City, Nevada at a local coffee shop. The business has grown substantially since, with classes in Reno, Carson, and South and North Lake Tahoe. But Allison is still based in Carson City—and she&apos;s not the one leading all these classes. How has all this been possible? By creating her “city leaders” program. 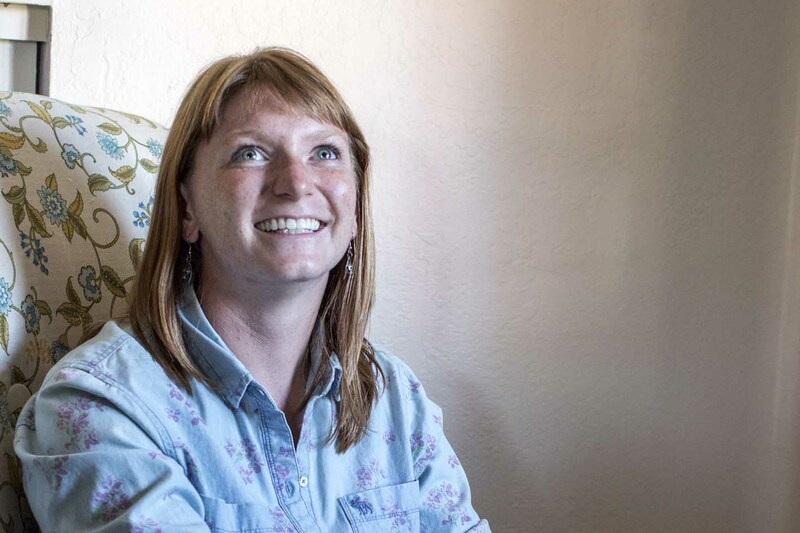 “At first I was basically the city leader for Carson and Reno as we were growing,” says Allison. “In the beginning, all of the teachers were very passionate about the community.” However, as the business grew and Allison&apos;s workload increased, she realized she had less time to support all the teachers individually, and that the community aspect of Good Elephant was suffering. “We realized that we needed to have a person in each city that could really help them out with each class individually, because they&apos;re all so different—which is part of what&apos;s cool about it,” she says. In each city, there&apos;s a yoga teacher who steps up as the city leader, and is in charge of networking with and supporting other teachers. 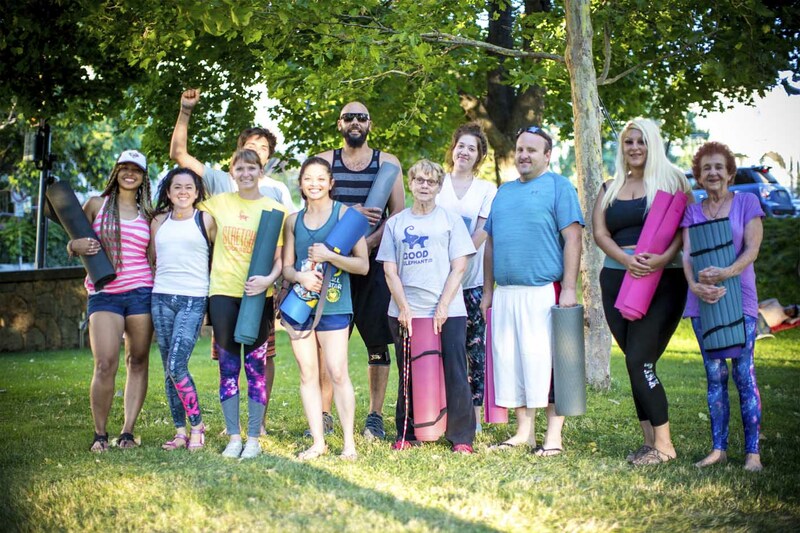 By creating her “city leaders” program, Good Elephant has done something truly unique to the yoga studio business model, and created something scalable. All of Good Elephant&apos;s teachers also earn a large percentage of revenue from the classes they teach, and they benefit from Good Elephant&apos;s city leaders&apos; networking efforts and assistance with promoting classes. Good Elephant holds yoga classes in creative spaces. To grow her business, Allison needed to learn the ropes of entrepreneurship and business planning. Though she planned to fund the business through her own resources and with help from friends and family, she knew that she needed to take her planning process to the next level. “I had never started a real business,” she says. So, she visited her local SCORE office in Reno, Nevada, where she took part in a Business 101 workshop. During the workshop, the teacher introduced her to LivePlan. “He suggested that we use LivePlan to help us start [our business plan] because it gives you so many awesome prompts to help you organize your thoughts,” says Allison. From there, she began using LivePlan to validate her idea. But, it wasn&apos;t until she took part in several pitch competitions that Allison really took advantage of its tools and features. “I used it a lot when I was creating my pitch,” she says. “Because I was doing a pitch camp, and we had to really get it together! We had to say, ‘this is our growth, these are our numbers, this is what I&apos;m asking for,’ and I had no reference for that. Participating in pitch competitions helped Allison clarify her goals and hopes for Good Elephant While she did win a small sum of money, the real value came from learning how to write a business pitch, create a real strategic plan for her business, and build connections in a valuable network. 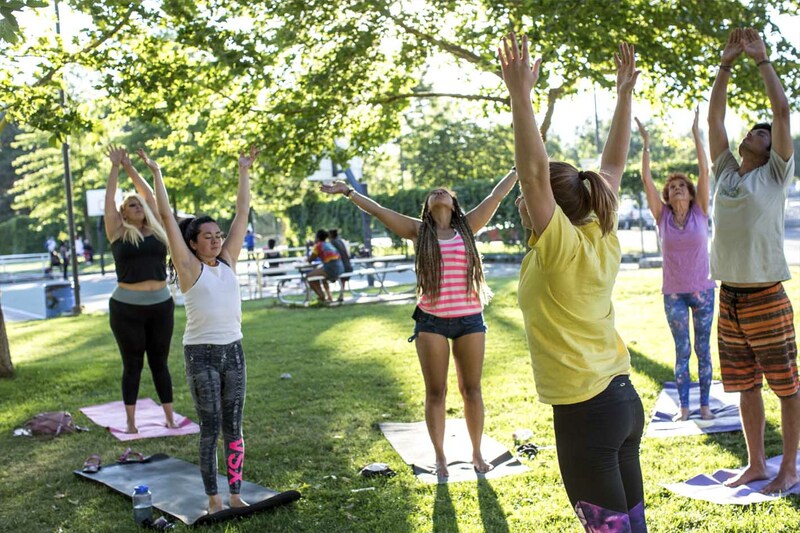 Good Elephant aims to make yoga accessible for everyone. “Now, I&apos;m at the point where it&apos;s time to actually think about doing real fundraising,” says Allison, who hopes to expand Good Elephant into many more cities, “like Airbnb for yoga.” So, she&apos;s been using LivePlan to track her financials regularly and plan for growth. Allison strikes a tree pose. For Allison, one of the most rewarding parts of starting and running Good Elephant is the feeling that she is contributing something positive to her community. When the challenges of being an entrepreneur arise, Allison comes back to gratitude—toward her community, the work that she does, and all the things that have come together so beautifully to help her create Good Elephant. “If I am thinking, ‘oh, this is going wrong,’ I try thinking more like, ‘okay what is there right now that I can be thankful for?’” she says. Viewing her experience of starting a business through this lens of gratitude has made Allison appreciate the resources that have helped her start and grow her business—from tools like LivePlan, to the relationships she has built with mentors and the local small business community. “It was just mentors who are part of these wonderful programs that just want to help people like us entrepreneurs,” she says. “They are just so awesome—even here in Northern Nevada where you wouldn&apos;t think there would be so many resources. It&apos;s overflowing. It&apos;s just wonderful.